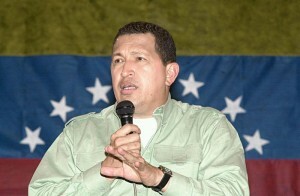 You are here: Home » Society & Common Good » Government & Politics » Protecting Chavez, Endangering America? In a recent television interview with Univision, Makled described Chavez’s Venezuela as a “narco-state” in which the government was “100 percent” involved in narco-trafficking. He implicated “40 generals” and “ministers, congressmen [and] governors” – including two top Chavez allies, Commander-in-Chief Henry Rangel Silva and intelligence chief Hugo Carvajal – in such activities. The drug kingpin also claimed that the military was protecting Hezbollah’s Venezuelan operations.